The fell tops were covered in thick cloud and it had been raining persistently all day. The team was contacted by Cumbria Police (CUMPOL) to a father and son who had become lost climbing the Old Man of Coniston. 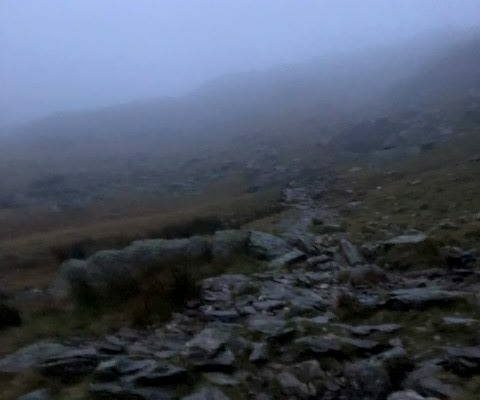 We were able to send them a Sarloc Rescue message ( a text message which provides us with a grid reference of where the party are) and thus they were located closer to the top of Dow Crag than the summit of the Old Man of Coniston. A small party left the base and made way to the lost party via Goats Water and Goats Hawse. On arrival the party were provided with warm clothing before being escorted down to the waiting Land Rover on the Walna Scar Road.